Mailmark is a new generation of franking mark that replaces the traditional “town and crown” die with a 2D barcode that shows the class and format of individual pieces of mail and carries machine readable information on the sender and mail to allow tracking and reporting. The Royal Mail have invested more than £70 million on the new technology. Mailmark combines a 2D barcode which will be applied to pieces of mail so that upgraded optical technology can report on mail scanned in the Royal Mail network. Over time all business mail will carry this barcode so that new products and services can evolve. It offers the potential to improve reporting and management of tariffs. 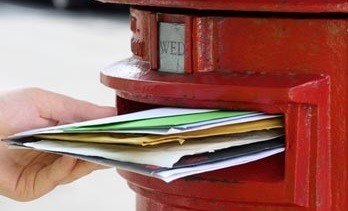 The Royal Mail will continue to process existing franking machine formats for a period after Mailmark becomes available, so businesses that fail to take up this new technology will not suffer any immediate negative consequences. Mailmark will provide easier access to Royal Mail products as well as simple tariff update procedures. The mail service claim that the new markings with create a more professional finish to franked mail items. Beginning this summer Mailmark will be available to retail customers using low sort, unsorted or meter options for letters and large letters. Who needs a franking machine? FRANKING MACHINE: HOW MUCH DOES IT COST? Pre-paid envelopes or franking machine?